This unit was written for a 7th grade alternative assessment class. The students read Harriet the Spy by Louise Fitzhugh, then learned about the life of a real CIA spy using a video Q&A with former CIA spy Lindsay Moran. 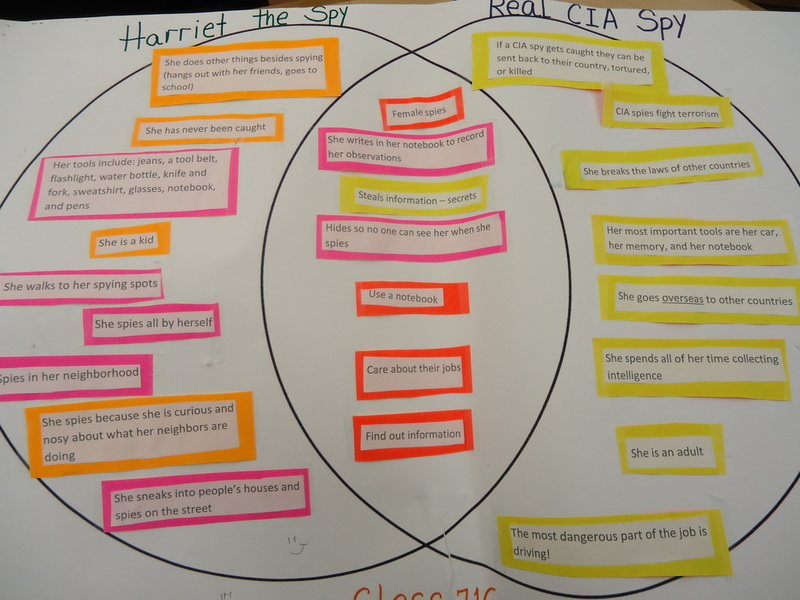 They took notes on both Harriet's spy activities and Lindsay Moran's life as a spy, then compared and contrasted them using a Venn diagram. The final piece of the project was an email interview with Lindsay Moran. Students came up with a long list of questions, and Ms. Moran was kind enough to answer every single one.